Andie and her sister Jin have never seen eye to eye. Andie doesn't envy Jin her marriage to a wealthy businessman, while Jin can't believe Andie's happy with her man-free existence (if only she knew!). But when their widowed mother Cora comes back from a Caribbean cruise with more than just a suntan, Andie and Jin are united in horror. Who is this gorgeous young man who's swept their mother off her feet? What the women really need is a friend to set the world to rights with - but can they be friends with each other? 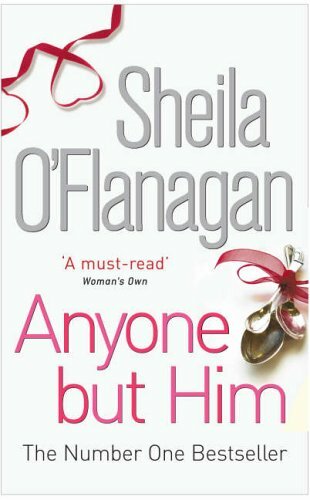 I never read anything from Sheila O'Flanagan before. I was reluctant to read the book and one of the reason is that it has 600 pages. I thought I will never finish it but I'm surprised that I managed to finish it. Well, I was not determine to read it when I started reading it but after two pages, I thought, OK, this sounds interesting. The story was packed with family member's conflict where 2 girls being electrified by their mother's new hot hunk after spending holiday on a cruise. The story is simple and being deliberated in as good as possible to attract my attention to read and understand their mother-complex-craziness. It's a bit predictable but it's fun to know if what I've been assuming is true or does it is actually a twist. What I like most is to know that each of the sister has their own dark side. They've been over protective towards their mother but they kind of never realize they have a really messed up life. I have to say I'm quite OK with the story but when it is nearly to the ending, the storyline is some what kind of having an adrenaline rush. Andie and Jin's decisions' were a bit strange and I don't think it is a good closure for an ending. A better conclusion or an epilogue will be better I suppose. I kept guessing how it will turn out and quite intrigued with the story. It's quite an OK read after all. I'll recommend to anyone who would love to a read a fast pace, funny and witty storyline. You changed the look.... love it! Though I will miss your quotes up top. Great review! Have to check this one out. @ Juju = Thanks Juju!I love it too! @ Freda = I was thinking the same thing too.I have to figure how to centralize the quotes.Soon I hope! 600 pages! Wow! I would have been reluctant too! I like your new background!